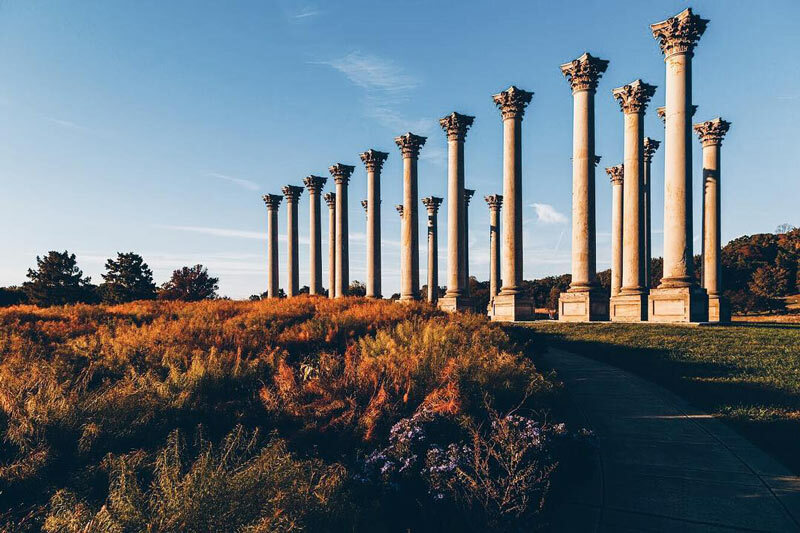 With fall colors blanketing everything from the National Mall to enchanting neighborhoods, the changing of the seasons in DC is an Instagrammer’s dream. Once the sizzle of summer fades and autumn settles in, DC transforms as hues of yellow, orange and red take over. 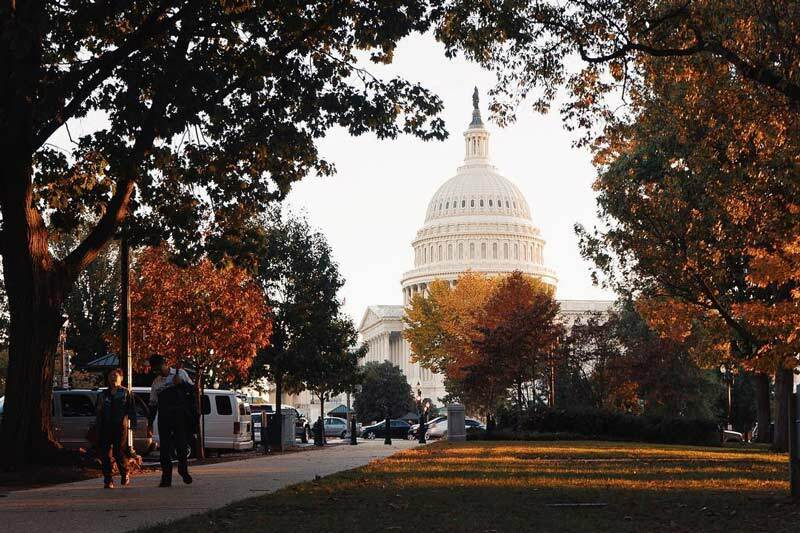 Between the colorful canvas of leaves and the incredible weather, fall in DC is the ideal backdrop for that picture-perfect shot – no filter needed! 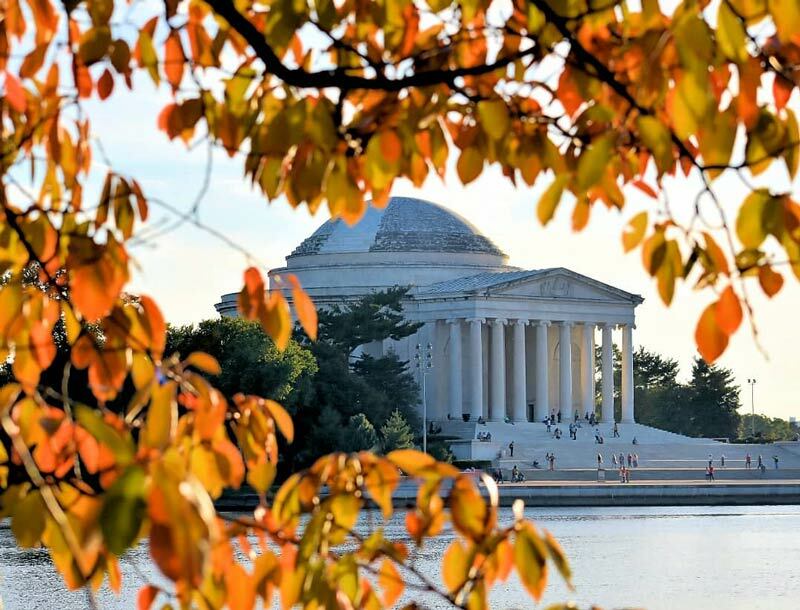 Explore these iconic (and Instagrammable) locations for fail-proof foliage photos and remember to tag your pics #MyDCcool. Whether it’s a wide shot from the steps of the Lincoln Memorial or a shot of the Reflecting Pool with floating, fallen leaves, the city’s monuments and memorials are stunning against a bright and bold backdrop of fall foliage. 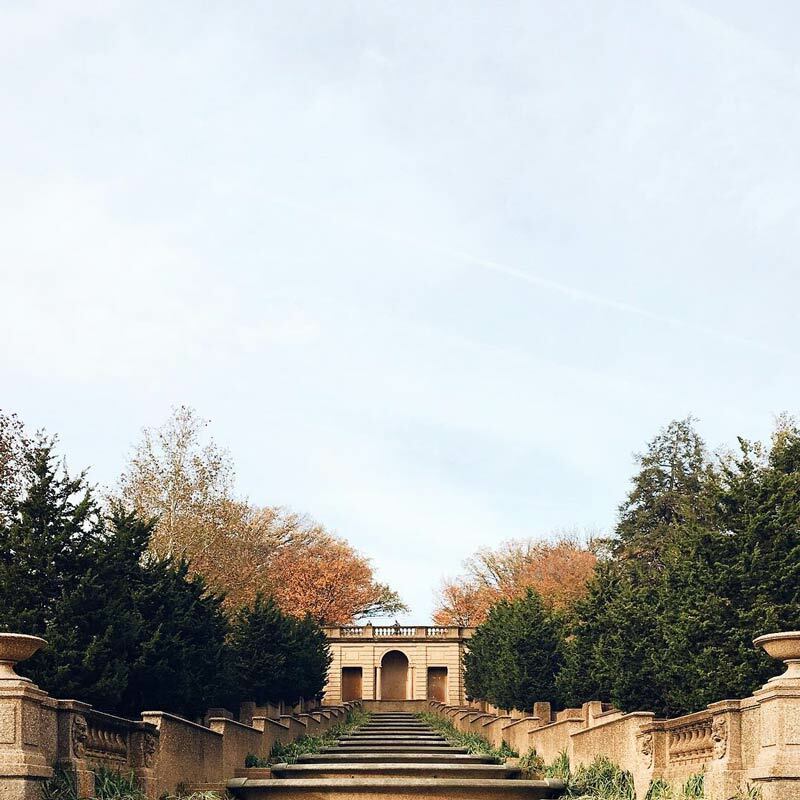 Tucked away in Northeast DC, just two miles from the U.S. Capitol, the National Arboretum is an oasis in the city, no matter what time of year. But the stark contrast of the sandstone Corinthian Columns (that once supported the U.S. Capitol portico) and the vibrant leaves on surrounding trees, make fall one of the most beautiful times to visit the living tree and plant museum. A quiet refuge in the hustle and bustle of the city, Columbia Heights' Meridian Hill Park, known by locals as “Malcolm X Park,” comes alive on fall weekends with picnicking park-goers, pups and of course, the energetic drum circle on Sundays. With its neoclassical style and iconic, multi-tiered cascading waterfall, this 12-acre landscaped urban park is absolutely stunning in autumn. It’s also the only place in the city you’ll find an equestrian statue featuring a woman, French heroine Joan of Arc. It’s like Georgetown’s cobblestone streets and views of the C&O Canal were made for your fall photo shoot. 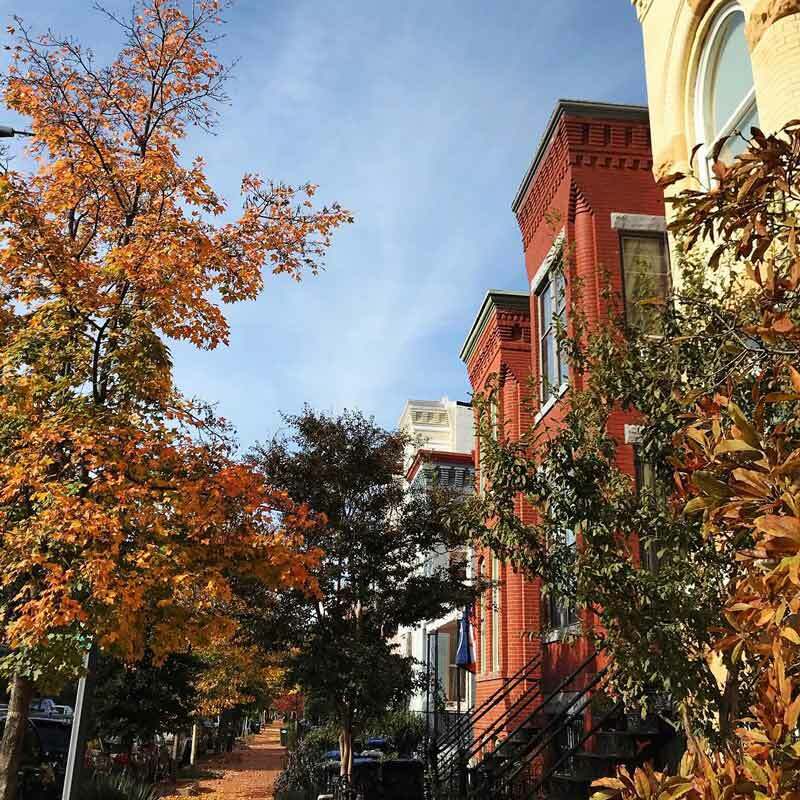 Stroll down residential side streets, like O Street NW, and capture the endearing rowhomes flanked by stunning fall colors. Then, head to the waterfront and you’ll marvel at the marble of the Kennedy Center against a sea of fall trees. 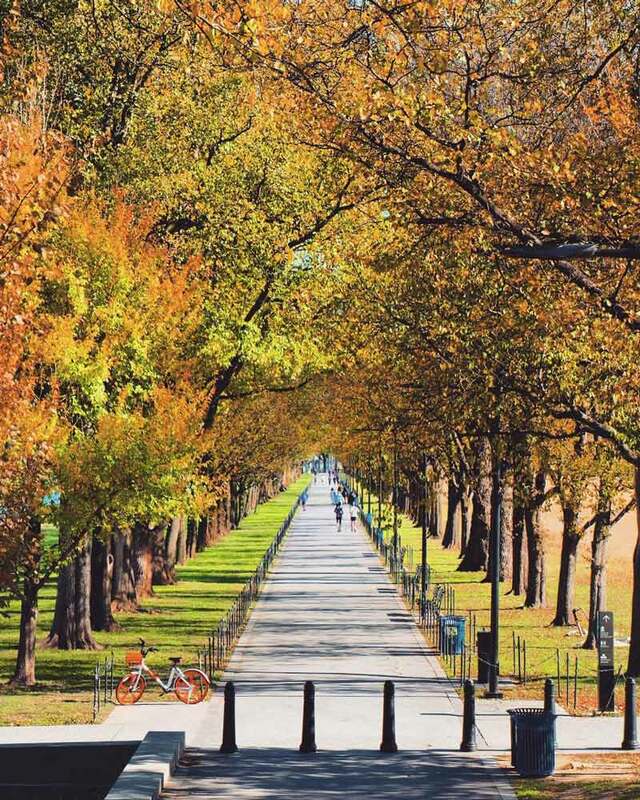 Expansive shots of the National Mall provide a stunning backdrop for an autumn 'gram. But getting up close and personal with the Washington Monument can also reveal some jaw-dropping results. Consider a low-angle shot to show off the majesty of the 555-foot obelisk. DC locals and visitors know that the Tidal Basin is the place to visit for cherry blossom season, but don’t sleep on this iconic view during the autumn months. As the colors on the trees change, play around with depth to make those reds, oranges and yellows pop against the calm water and the Jefferson Memorial. One of the most recognizable buildings in the world, the U.S. Capitol Building may be at its best come fall. With trees lining the pathway to the Capitol along the National Mall, stunning colors starkly contrast with the iconic white dome. Bonus: The Capitol Reflection Pool is great opportunity to grab that shot that’s twice as nice. 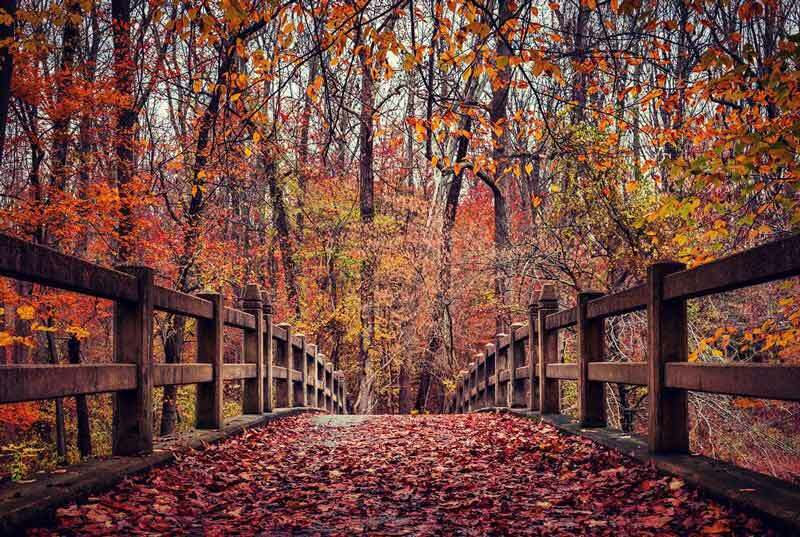 Nothing beats a walk or jog through Rock Creek Park on a crisp fall day. The park’s natural surrounding beauty is enough to stop you in your tracks and have you reaching for your phone. Spanning 1,800 acres, Rock Creek Park cuts a wide swath through Northwest DC, offering a haven for people and wildlife alike. With hardwood trees that shade the park’s paths and trails, there’s bound to be fantastic fall foliage everywhere you look. 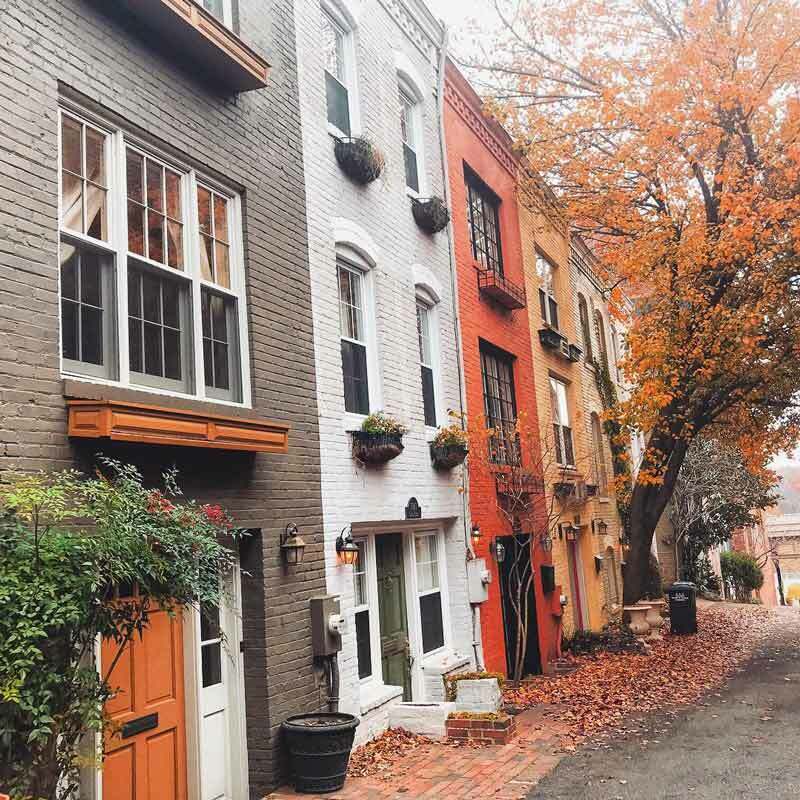 One of DC’s most-iconic neighborhoods – for its political prowess as much as its mouthwatering restaurant scene and gorgeous homes – Capitol Hill boasts 19th-century rowhouses that play perfectly against a changing fall landscape. Spend a day in the neighborhood and you’re likely to encounter every color combination imaginable. The rooftop terrace of the gallery’s East Building provides space for visitors to pause, reflect and take in the views between exploring more than 140,000 works inside the gallery. 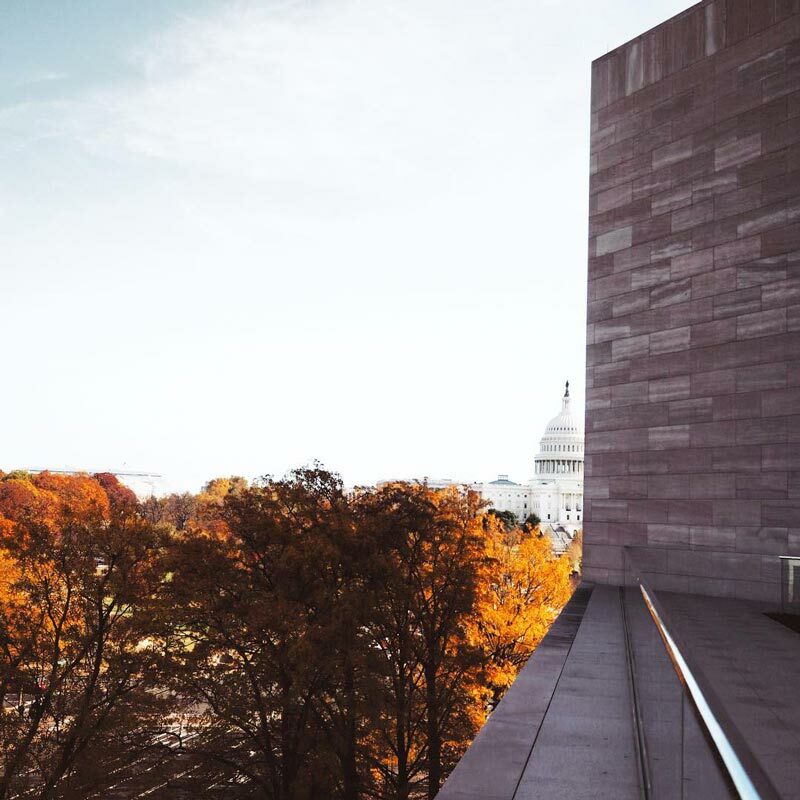 With views of Pennsylvania Avenue, the Capitol dome and National Mall, the terrace is an ideal spot to capture autumnal auburn against some of the city’s most iconic landmarks. Can't get enough of autumn? 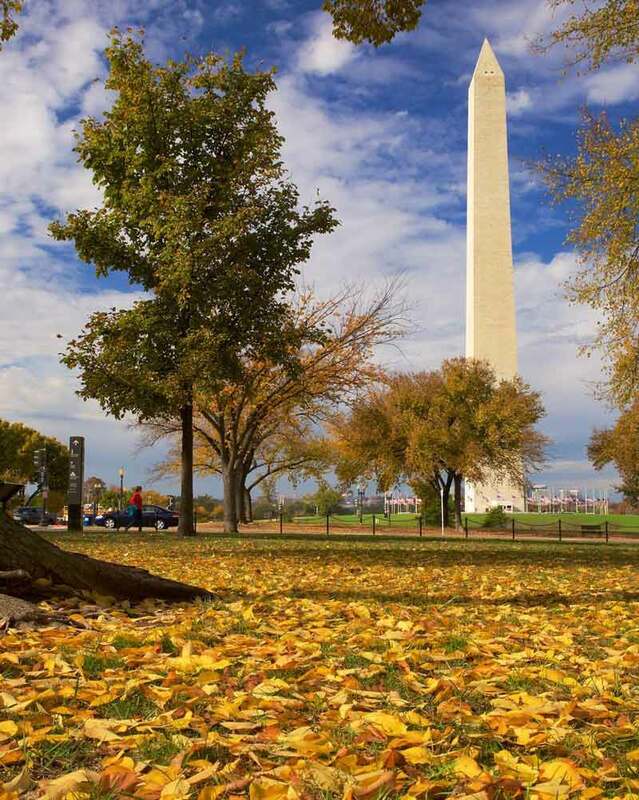 Channel all of the cozy vibes and discover even more reasons to visit DC this fall.